Gary Ling on Twitter @GarysBalls - Gary Ling, Digital Producer, Data Monetiser, Political Savant, Information Economist, Solution Seller, Business Strategist. "Don't Be A Follower Be A Thinker!" Become a Twitter Power User. Whilst comentators say that the Twitter interface is NOT engaging and should be more Facebook-like, I say that the present Twitter 'firehose approach' forces users to focus, crystallise their thoughts and disseminate them succinctly. It is the most fun precisely because it is easy to use and encourages spontaneity. Twitter’s User base is self-selecting. It is harder to write cogent points in 140 characters than in a few paragraphs so the people who tend to use Twitter, as opposed to say, Facebook, generally have something useful to say (could they also be more worldly and intelligent?). By both choosing who you follow and ruthlessly pruning your list, you can derive great insights from your Twitter Timeline. ++ Set a clear ‘informational’ objective for what you want to achieve from your Twitter timeline. My objective is to create the most informative and timely newsfeed on global economics, politics and technology. You might simply want to keep up with your friends activities, assuming they are using Twitter as opposed to Facebook or Four Square for this. If you have several distinct objectives, use different accounts to meet them. Third party Apps such as Tweetcaster make following and posting to up to four different timeline personalities really easy. ++ A 'manageable' timeline means following no more than 400 people. Any more than this and you lose the focus of what your timeline is all about – delivering relevant information about chosen subjects in which you have an interest. If people that you follow don't tweet from one week to the next, they aren't worth following. Follow people who have something to say! ++ Keep tabs on the quality of your followers. Unless you have tens of thousands this is easily done by following this simple rule: don’t allow anyone following more than a 1000 people to follow YOU unless you know them (and a word of advice on how they can, in turn, make better use of Twitter might also be appropriate). For the most part these sorts of followers aren’t worth having since they won’t see many of your tweets and often, follow people in the hope that they will then follow them. Reciprocal following is a sign that an account holder will not be a ‘quality’ follower. ++ Follow the Fearless who report at a micro-level. Follow people who can dig out data points from areas where western correspondents fear to tread or where the resources of big news services (Reuters, BBC, ABC, NBC, ITN etc.) are insufficient to give proper coverage. Egypt and North Korea are good examples of this. Quite a few people tweet from these places in English giving a ground eye view of latest events. There are also some good aggregators around which sift rumours and news which has leaked out from the world's authoritarian states. ﻿Cancellation Bear: This feed comes into its own in the fall and the Spring when the big US networks are deciding what TV shows they will recommision for another season. 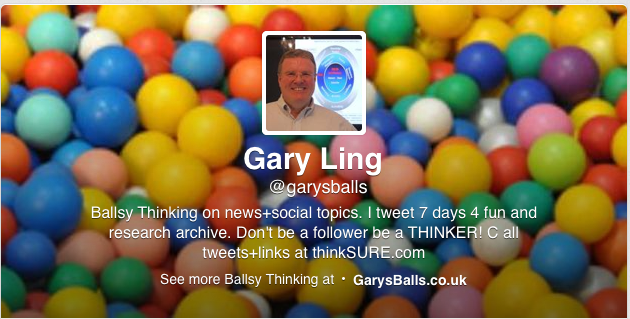 If you are in the media business this is a must follow. JIM RIKARDS: The great thing about Twitter is you can see WHAT people are thinking and WHEN they are Thinking it. It's spooky how often I tweet something about an event that's happening and then see Rickards do the same. Great minds really DO think alike! Except that Jim is one of the world's greatest thinkers in political economics. Edde: This bloke is one unsual looking dude! But his tweets are always interesting and sometimes insightful from in the ground in China when I can read them (he also tweets in Mandarin). He is: Liberal, China, World News, History (Turko-Perso-Arab World), Ethnography, Tech, Gadgets, Social Media. DAVID BUIK: Never met David but he makes sense whenever he makes a media appearance. Has alot of experience in the markets and a great sense of humour. BRIAN MONTEITH: Known the Mid Yin for over 30 years. Brian is one of the UK's sharpest Libertarian Thinkers and it is Scotland's loss that he is no longer an MSP.